Celebrated as one of the leading film festivals in the United States, The Newport Beach Film Festival brings the best of classic, and modern film, from around the world together, during a week of cultural appreciation, and enlightenment on the beautiful Californian coast. The Swedish Spotlight. During the week-long film festival, a special night will be dedicated to Swedish cinema, filmmaking, and culture. The event will also feature the US Premiere of the highly-acclaimed film, Sune vs Sune, followed by a festive post-screening celebration. The main sponsor of the event? Yours truly, Swedes in the States! The evening will feature a hosted bar (leave the car at home), and signature tastings by some of the top restaurants in Orange County with multiple DJ’s and live entertainment to keep the night festive. Apart from Swedes in the States, the night is also supported by organizations like SWEA LA, SWEA OC, The Swedish-American Chamber of Commerce Los Angeles and the Swedish Church. Basically, the whole gang will be there, and so should you! 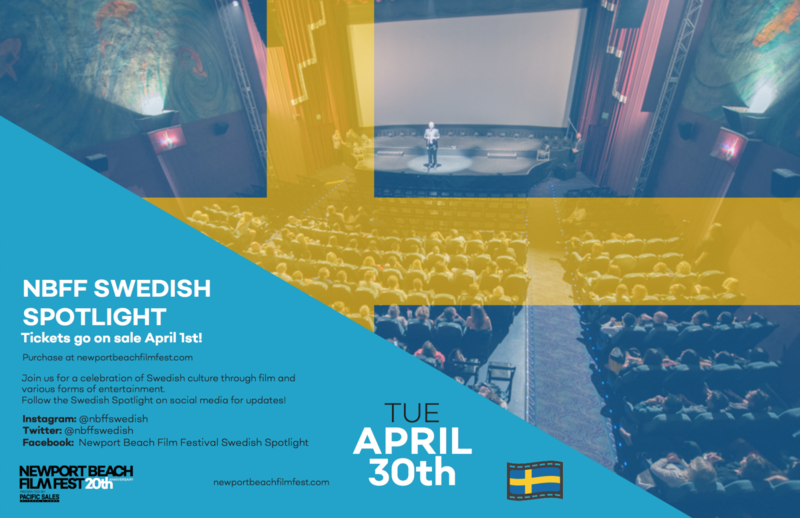 Tickets can be bought at Newport Beach Film Festival’s website, with the code SWEDEN5 giving you $5 off ticket prices. We are also, together with Newport Beach Film Festival, giving some lucky California readers the chance to win tickets to the event, so keep an eye out for our contest coming up later this week!